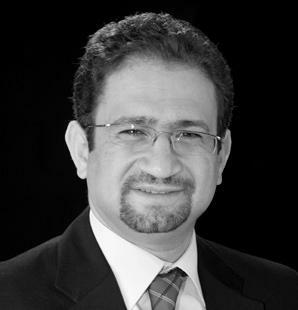 Dr. Awsam Wasfi has a bachelor's degree in pre-medicine, a master's degree in psychiatric and neurological diseases. and a bachelor degree in Theology from the Evangelical Theological Seminary in Cairo (2005) where he has been teaching "Theology and Psychology" and "Church and Recovery since then. He has been practicing since 1992 in the fields of psychotherapy, counseling and addictions rehabilitation, and has lectured in a number of Arab countries in these areas of study as well. He has been writing books since 2004, including, ‘‘صحَّة العلاقات’’(Healthy Relationships), ‘‘الروحانيَّة والتعافي’’(Spirituality and Recovery'), ‘‘القلب الواعي’’ (The Conscious Heart), ‘‘مهارات المشورة’’ (Counseling Skills), ‘‘مهارات الحياة’’ (Life Skills) as well as the 12-booklet series 180 Degrees for youth and youth workers, produced by Ophir Publishers between 2008-2011.